Description: Olivia wants to change her look! Help her find a hairstyle that really suits her. Cut her hair, curl it, straighten it, or color it until you find the perfect combination. 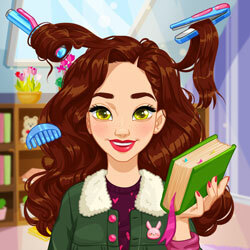 Put your creativity at work and give Olivia a whole new makeover.